A Whole Month of Home Organization! Today, we’d like to share a liked blog of ours. More specifically, their post on 40 days of organization. Follow the attached link to find out how to organize all of those out of order things in your home from your refrigerator to hair products. Ready, ANNNND…………. Get Organizing Chic! We here at Sunshine Realty LOVE Mondays. It’s one of our busiest days and it reminds us to appreciate all of our followers, sellers, buyers, inspectors, fellow realtors, etc. Go out and get this Monday!!! Annnnnnnnnnnnnnd GO! Start Your Monday Off Right! Do you need a boost on this Monday because your weekend was too short? Grab a cup of coffee, get caffeinated and get started today by helping us help you save THOUSANDS of $$$ when buying/selling your home! 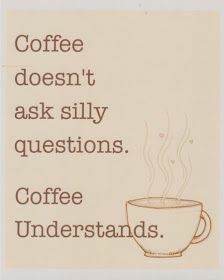 Call us today at 314-313-1773, maybe even during that delicious cup of coffee ;). Two birds, one stone! Happy Monday from Sunshine Realty! Sharing a closet? Tips here! 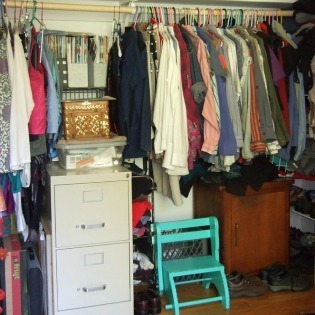 Are you sharing a closet with a roommate, sibling or significant other or knows someone who is? Are they having problems communicating which space is who’s? Here is a link to an entry from Better Homes and Gardens that we love that explains how to take the best advantage of shared closet space! Click the link below to a how to video to find out more!